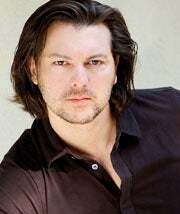 David Hayter, voice of character Snake Metal Gear Solid and Hollywood screenwriter, has formed a production company with Tekken movie producer Benedict Carver. Dubbed Dark Hero Studios, the company will focus on sci-fi genre film, TV, internet and video games projects. According to Carver, "David will create, write and direct movies and TV series for the company, but he'll also be a magnet for other writers and directors to work with us." Hayter is gearing up to direct his first feature Straughter's Road, which is a werewolf thriller. After that, he's slated to do Demonology, which he wrote and plans to direct. "It's about an American kid who goes to one of these schools in Belgium," says Hayter, "but it brings my own horrible experiences of school to life." Hayter most recently wrote the big screen version of graphic novel Watchmen. He has been announced as the screenwriter for the Lost Planet movie.